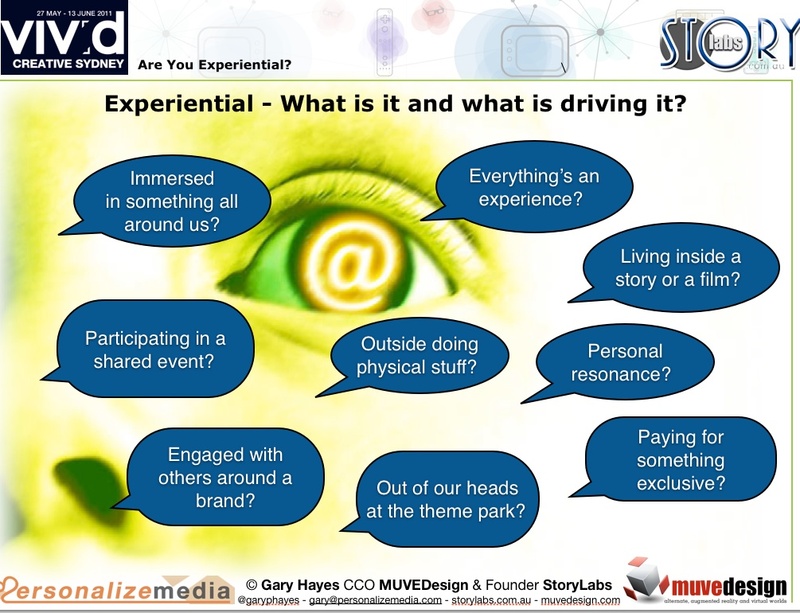 Are You Experiential? – Metro Screen with Creative Sydney from Metro Screen on Vimeo. 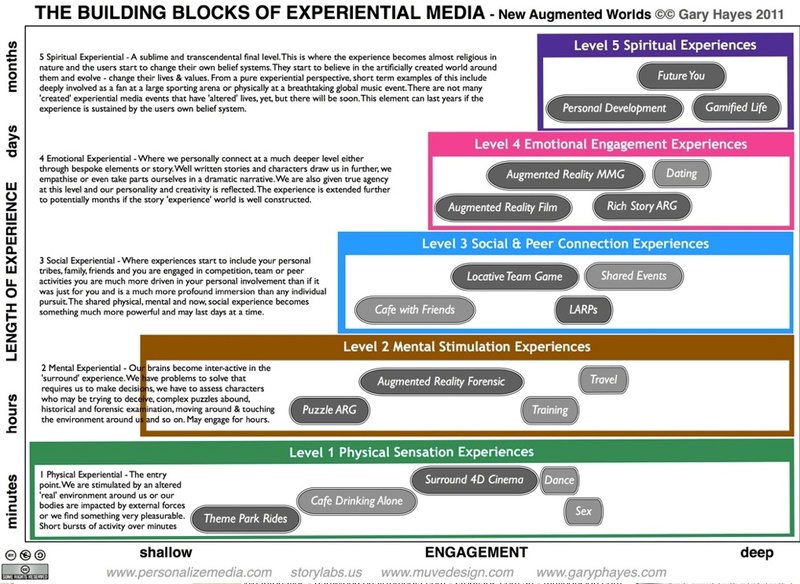 I rushed through broad definitions of experience from a users perspective, kind of in the street answers to the question “what do media experiences mean to you”? 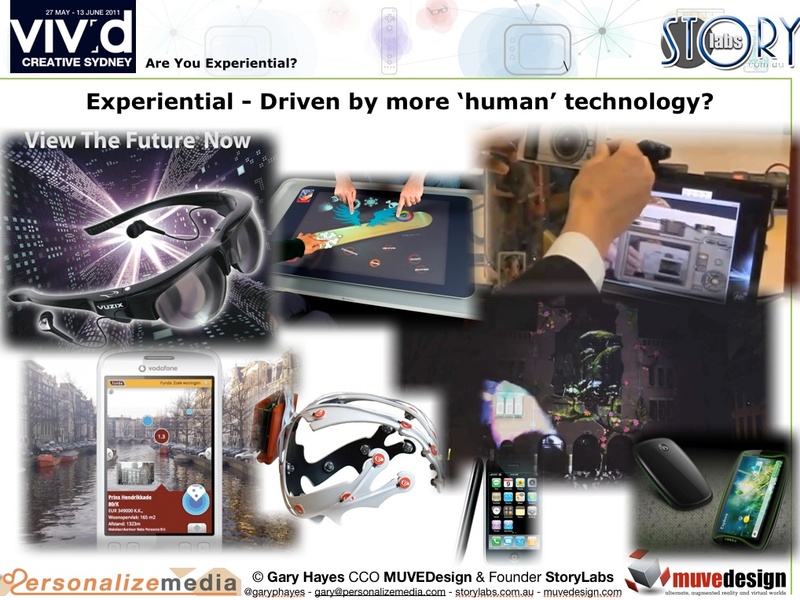 …quickly talked about enabling technologies and showed a recent video of place based storytelling which included the ubiquitous Alternate Reality Games, Locative Scavenger Hunts, AR games and new kids on the block, films in-situ or Locatinima as I keep calling them! and finally revisited my five levels of experience, Physical, Mental, Social, Emotional and Spiritual to lead into areas that each of the panellists are exploring. As promised too some presentations mostly from students last year who took part in a Metro Screen Transmedia 101 Workshop (The first 30 minutes) and also one group now company called Dog Money World (Anna Bay, James Boyce and Claire Evans) from the Multi Platform Producer Scholarship course (I am the main lecturer on) who present something (30 mins in) worked up in my course, very much in the pervasive/locative entertainment space – called ‘Crime Plays’. The last 12 minutes features Marcus Gillezeau of Firelight Productions a co-presenter/lecturer at Metro Screen. At Creative Sydney 2011 – Storytelling 2.0: engaging an audience in a narrative takes a lot more these days. Meet a new generation of content-makers finding inspiration in an expanding, interactive space for stories. 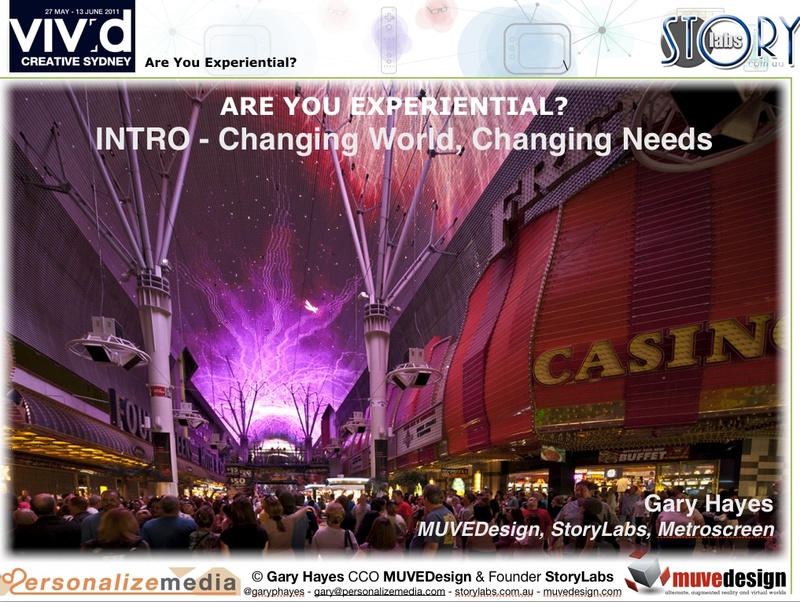 Stories Across Platforms, with Metro Screen from Metro Screen on Vimeo. Crime Plays… Do You? Mobile Application Teaser from Dog Money World on Vimeo.